The American Cancer Society’s Survivor Style Show will be held on Thursday, Oct. 18 at 7 p.m. in National Trail Elementary gymnasium. This fashion show helps highlight survivors and raise awareness for the battles they’ve fought over the years. Pictured above: model Suzette Weadick (left top), model Rosale Doran (left bottom), organizer Tiana White, organizer Patti Hunyadi, , model Earla Donaldson, and CATO Stylist Corrin Gabbard (right). PREBLE COUNTY — The American Cancer Society’s Survivor Style Show will be held on Thursday, Oct. 18, at 7 p.m. at National Trail Local School’s elementary gymnasium. The doors open at 6:30 p.m. This fashion show helps highlight survivors and raise awareness for the battles they’ve fought over the years. Tickets are currently on presale for $10, and can be purchased from Your Flower Shop in Eaton, Color Me Crazy salon in New Paris, or Hairy Decisions salon in New Paris. Tickets can also be purchased from Tiana White at 937-273-2092 or Patti Hunyadi at 937-733-1459. Tickets can also be purchased at the door for $15. There will be an opportunity to purchase raffle tickets and there will be food provided. All of the items were donated, meaning there was no cost to host this fundraiser, according to organizers. Proceeds go toward the Preble County Relay for Life as a team fundraiser, but according to organizer Tiana White, the event also helps survivors feel confident in their bodies again. Organizer Patti Hunyadi became involved with the fundraiser originally as a model, as she is a 24-year breast cancer survivor and a five-year leukemia survivor. White asked her to be involved with Relay for Life, but she didn’t want to talk about her cancer. Finally, she became involved with Relay and then was a model for one year, before White asked her to help organize the event as well. Hunyadi has been helping with the Style Show for years now. Her main task is to find survivors who are willing to participate in the Style Show. Hunyadi explained, some people are open about their battles, while others are more reserved. “It is much easier to find survivors today than when we first started. That says medical science is doing a lot to find these cancers and people live longer. Like I said, it has been 24 years that I have survived breast cancer,” she said. The models are currently getting ready for the show next week. To do so, they have their appointments with CATO Fashions and Dance with Me Bridal & Occasion Wear. They will have two outfits — one will be casual wear and the other will be formal. The show will give the survivors a chance to get in front of a crowd and show off their confidence. One of the models who will be in the Style Show is Rosalie Doran, who is a 24-year cancer survivor. “I had a difficult time during the whole process. I was still teaching. I had chemo once a month on Thursday, and then I went back to school on Monday, which was a big mistake. It was hard for me and when [Hunyadi] asked me to model, I did not want to at all,” she said. Attendees will be supporting the American Cancer Society and Preble County Relay for Life, as well as having a fun night out supporting 15 strong and beautiful women. 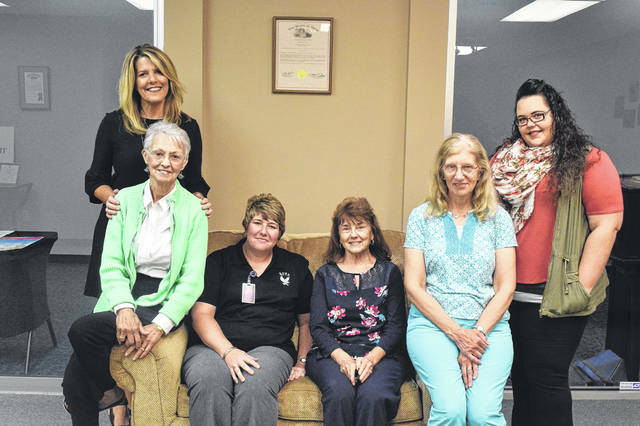 https://www.registerherald.com/wp-content/uploads/sites/41/2018/10/web1_Style.jpgThe American Cancer Society’s Survivor Style Show will be held on Thursday, Oct. 18 at 7 p.m. in National Trail Elementary gymnasium. This fashion show helps highlight survivors and raise awareness for the battles they’ve fought over the years. Pictured above: model Suzette Weadick (left top), model Rosale Doran (left bottom), organizer Tiana White, organizer Patti Hunyadi, , model Earla Donaldson, and CATO Stylist Corrin Gabbard (right).